Piece of furniture used to file documents by category or in a given order. Small piece of furniture on casters or legs; it contains drawers and is usually placed under a desk or table. Small piece of furniture on casters; it is used to hold hanging files. 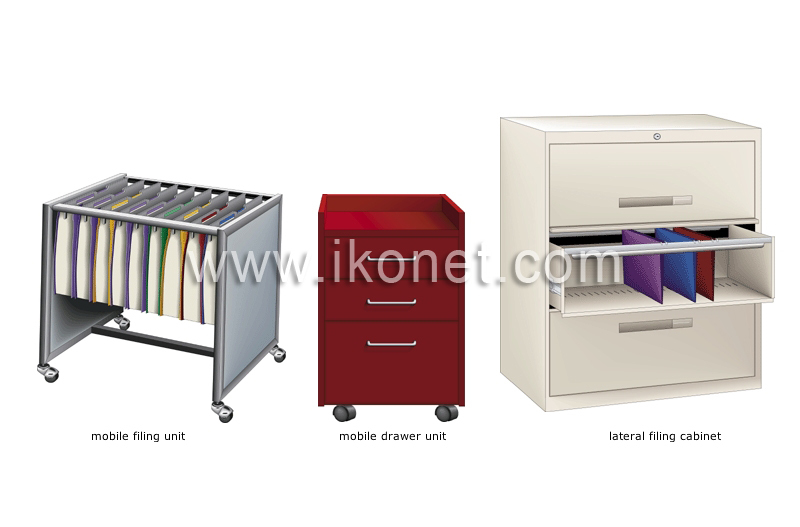 Compartmentalized piece of furniture with flipper doors; it is used to hold hanging files.